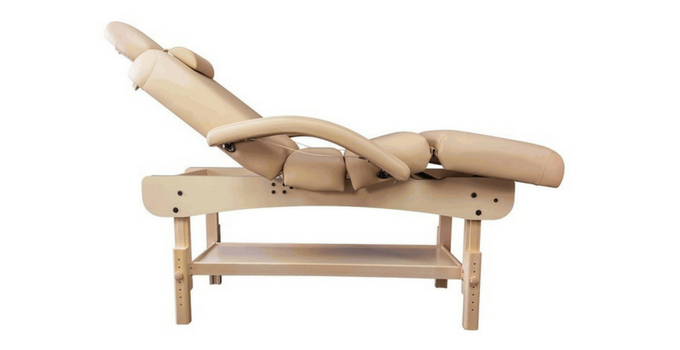 When it comes to choosing the best massage table (here are a few TOP model to check out Right Now) most expensive MODELS are not always ended up be on top of my list (well, sometimes it is). There is a lot to consider in your buying decision, but there are only a few critical features that you should base your decision. After talking to many massage therapists and sipping through countless online reviews, testing quite a few models, we sincerely hope that this buying guide will help you make an educated choice. Our goal is to be All-in-one one Go-to guide for a professional therapist or a medical practitioner who wats the best for their clients, which in turn will benefit your massage business in a big way. And if you are regular (not a professional) home user, that just want to be able to give your spouse the odd back rub, and you may benefit from this guide as well. Well, some cool beach table or any table could fit the bill, right? If what you need is to get best portable massage table, there are a few more things that you also need to consider. 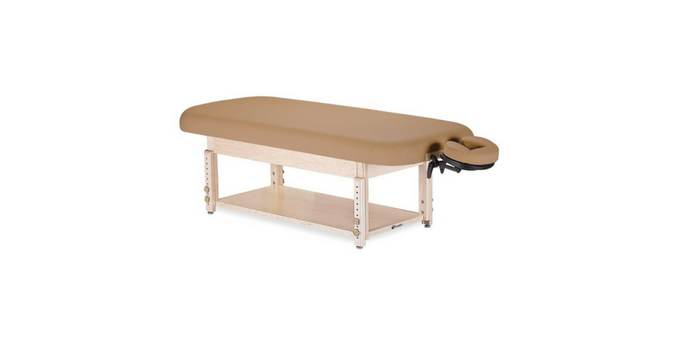 To make things easier for you, we have gone through thousands of massage table reviews to come up with those that are an excellent investment to make. Before we get through to the reports, though, let us have a look at the different table types you might come across. What is the Weight Limit for Massage Tables? Difference between the working weight and static weight. What is the average size of a table? What can make a table more comfortable? 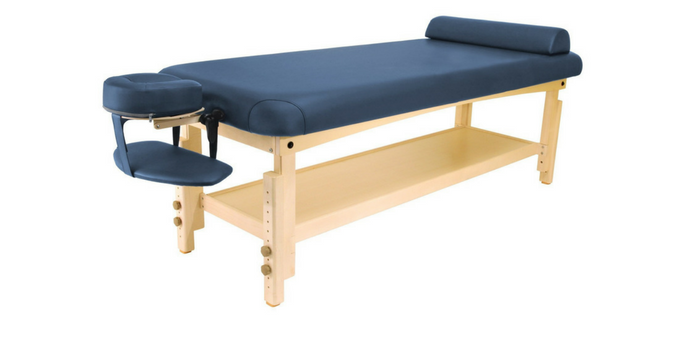 Which features are critically important in a massage table? This option came in best overall because it was a mid-range price but also offered a high range of features. It is an aesthetically very pleasing bed and bound to help clients feel comfortable and warm. The foam padding includes memory foam for extra comfort. This heated massage table offers the best option for someone looking for either a Reiki table or a massage bed. It can adjust between 31 inches and 34 inches in height ensuring comfort for the masseuse. The bed is high-quality and weight around 37 pounds in total. It can be folded away when not in use and is easy to set up again when needed. It comes with its own carry case. 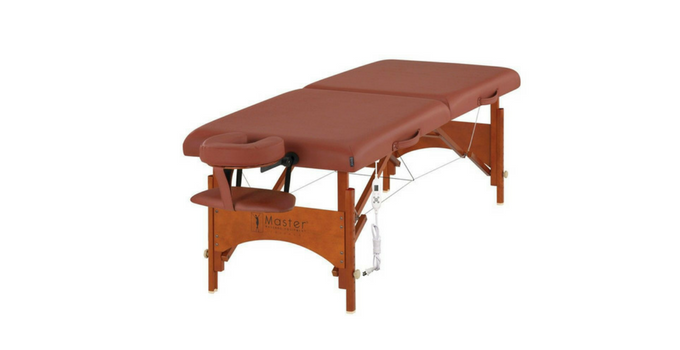 High quality, pro massage table. The upper foam cushioning for extra comfort and covered in a durable fabric that is water resistant and oil proof. It is almost burgundy. The closure clasps are similar to those on luggage clasps. Can handle the weight of up to 750 pounds. The table comes with face cradle, face cushion, comfortable armrest, and a carrying case. Not available in more colors. So, if you wanted it pink or sand color, for example, you are out of luck. The price will not suit everyone. While it is not a bad price for what you are getting, there are cheap tables that are quite a bit less. It is on of the best massage tables when it comes to portability. 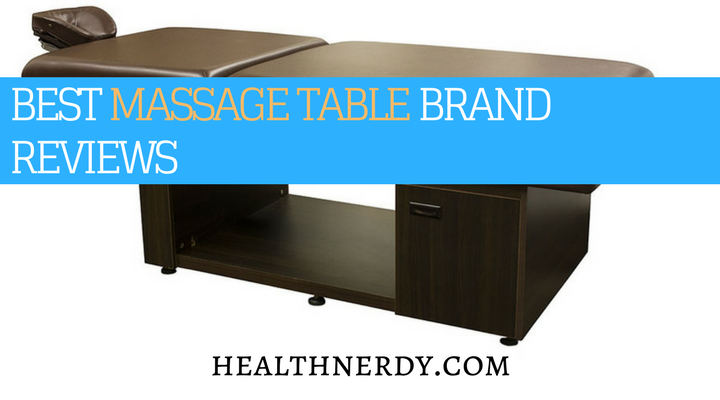 This one comes in as one of the cheapest professional massage tables. It is made with high-quality beech and a range of accessories that prove useful as well. It goes to show, that you can get quality massage tables for less. Has clean, modern lines without looking clinical. The foam is comfortable for customers to lie on. You get a portable table that comes with a table bag. The table package also includes a removable and adjustable face cradle, a massage oils pouch, the lightest cotton sheets, an armrest, a half-circle round bolster and hanger for towels. You get a lot of bang for your buck here, but something has to give. In this case, the tables weight capacity is 450 pounds, just over half of the bed, we reviewed above. Also, you are limited in some of your choices. You cannot ask for it in beige or black, for example. And it does not come with a cabinet. This comes a close second to our top pick because it consists of sections of maple hardwood, used in conjunction with steel and strong Russian decking to ensure that the table lasts well. What makes this table unique is the face cradle and headrest. The cradle has been infused with polymer gel to ensure that the client finds it soft and comfortable. It will take your customer service to a whole new level. This folding massage table weighs around 34 pounds and so is easy to move. The bed is full size so that you can accommodate people of different sizes and lengths. The table pad consists of 2.5 inches of dense foam to improve comfort and to give these massage beds an edge. Will not squeak and can carry up to 600 pounds. 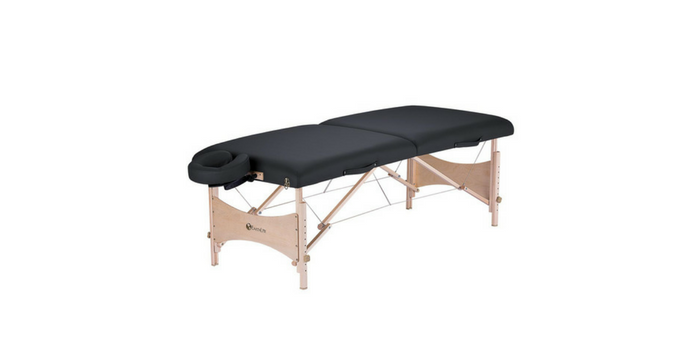 Designed to be used as a therapist’s table for many years by Earthlite, one of the leading names in massage equipment and tools. There is a lifetime warranty when it comes to the actual frame and how that has been constructed. The warranty for the foam is limited to five years, though. This table features adjustable height range of between 25 inches and 35 inches. It is sturdily built and often gets a good mention in the buyer’s guides and table reviews. High-density foam ensures better comfort. The covering is easy to clean because of the water and oil resistant layer on it. It will last well because denim backs it. This is especially important if you like do it yourself cleaning options. Legs made from birch for added stability. You have an area underneath where you can store linens, etc. The maximum working weight that can support 1000 pounds. You get the cradle, a face pillow, a bolster, armrest (arm rest) and also a pack of 75 one-use face covers. The cost is higher than the others that we have reviewed and so not for those on a limited budget. The company says that people may be able to see that you have ordered the massage table package. So, if this is for a gift, you might need to be mindful about to where it is delivered. This came in second, but not by a large margin. The two beds are remarkably similar. The big difference is in the materials used during construction of the bed. Earthlite’s model has gone with maple as the frame and shows some pretty useful improvements in design. Strong and durable frame made from real wood. Vinyl covering top pad is available in a few different colors. The bed features one of the company’s patented adjustable headrest. There is a full-length shelf to help with storage space. The corners are rounded, and the legs are recessed to facilitate easier access, making it a lot easier to get right to the spot for deep tissue massages. It is all brought together and finished off in the United States. Not an electric lift table but relatively easy to adjust the settings. The price may be prohibitive if you are on an extremely tight budget. This is one that is a lot kinder on the budget. It is made out of Beechwood and has everything you would expect in most massage tables for sale. The foam is plush and comfortable, and the bed itself features a shelf that you can use to store linens, face cloths, etc. You get all the standard basics – the face rest that can be adjusted, a rest for someone to rest their arms. Comfortable foam and soft-touch upholstery. You also get a shelf to store goods on. The table height can be adjusted between 24 and 33 inches. It is a nice-sized bed measuring 73 inches in length and 30 inches in width. It can carry up to 600 pounds. It is a reasonable price. Weighs around 80 pounds and so might be harder to move. There are many different benefits to massage. According to the Mayo Clinic, these range from anxiety relief to pain relief. It is a technique that has been put to great use since ancient times. Stationary beds are not designed to be easily folded up and moved away. These are best left in the environment where the treatments will take place. They are a good option if you are operating out of a particular area at home or work. These are useful if you need to be able to visit clients in their homes or offices. They fold down easily and usually come with handles or a simple carry case. These models may not be as sturdy as those spoken about above. The advantage of having a hydraulic table is if you need to adjust the position of your client's body without disturbing them too much. You merely engage the hydraulics to lift or to lower specific areas of the bed. The client moves with the bed but doesn’t have to move. With an electric massage table, the same can be said. You can alter the tilt of the bed, etc. by pushing one or two buttons. Some beds do also include pads capable of massaging as well, but these are usually superfluous for a professional masseuse. Having a bed that can adjust to different heights can be important, especially if you are not going to be the only person working on it. Even if you are the only person using it, the ability to make the bed higher or lower to the ground can be useful. Say, for example, that you want to work on your client’s shoulders. And you want to work at shoulder-level to do so. You could drop the bed so that you can comfortably sit and apply as much pressure on the front of the shoulders as you like. It might also be helpful if you want to sell the bed when you are ready for an upgrade. These beds come in a single height so are not at all adjustable in this regard. If you are a shorter than average, or taller than average masseuse, this could prove problematic for you. On the other side, these beds do tend to be less expensive to buy and have fewer moving parts that could go wrong. There are portable beds and foldable ones. It is easy to think that they fall into the same category. They do not. A foldable spa bed (table) is one that can be folded up to save space in the office. It may also be portable, but the primary reason for having a foldable bed (folding massage tables) is that it saves space when not in use. If you are becoming a masseuse as a career option, you do need to consider spending a little more time and money finding the perfect bed. Start by considering how you will see your clients – are they going to be coming into your offices? Are you going to see them at home? Or maybe set up at their offices? Once you know what type of table you need, you will be able to look for the very best option to meet your needs. This is one area where spending a bit more upfront is advised because the bed can impact on how well you can do your job and how much your client enjoys it. In this review, we have looked at the best over a few different categories so that you have an idea of where to start looking for yourself. Before you make that decision to pull out the list of tables for sale, it is advisable to look through all the pros and cons that we listed for each model above. Are any of these things deal-breakers for you? Did any of the things that we listed in the above massage tables review have more importance for you in your proposed massage therapy practice? Here we need to differentiate between static weight and working weight. In all of the reviews above, we have quoted the working weight for each bed. Why the distinction? A bed might have a 2000-pound static capacity. Great, right? Not so fast. You also need to factor in the fact that you are going to be applying pressure. So, if you could find someone that weighed 2000 pounds, yes, they would be able to fit on the bed without it breaking. However, you started massaging them with even the lightest touch; the bed would break. For this reason, the weight limit of the table that you choose is critical. Whether you are buying brand new Oakwork’s massage tables or saving by buying used tables, you must find out what the working weight limit is for each. These limits typically start at around 250 pounds but check what the manufacturer says where this is concerned. This will depend on which brand you are buying. Most beds will be around thirty inches across and in the region of at least 70 inches long. The table heights vary. With the standard height being at around 25 inches. Many adjustable beds, however, will allow you to adjust the height of the bed a certain amount. You could, thus have a 40-inch tall table. The padding on the top of the bed is where we start. We will discuss the type of foam underneath so for now, all we need to know is that the foam should be thick enough to provide a comfortable cushion. There are other things to keep in mind other than the padding, though. What about the fabric covering the padding? Vinyl is easy to clean, but it is not the most comfortable surface to lie against. You would need to look at getting clean cotton sheets so that your client felt more comfortable. Towels lain over the sheeting can also add an extra touch of luxury and softness. Having a table that can heat itself might be a good idea if you live in a colder area. Clients are stripping down to their bare essentials and so are more prone to feel the cold. If your budget does allow for a heated bed, you must bring in a heater and possibly even more towels or blankets so that your client stays warm. A high-density foam to pad the bed is the bare minimum to make the bed more comfortable. The foam helps to cushion your client’s body so that they do not feel the hard surface of the bed underneath. This becomes more important for massages where a lot of pressure is applied. The inclusion of a memory foam layer can further increase the patient’s comfort by allowing them some pressure relief and a bit of extra support. It is also better, if you live in a warmer area, to look for foam that is more open-celled, at least at the top. This helps the air around the client to circulate better and can prevent them from overheating too much. This is going to depend on many different factors. How well do you look after it? Do you oil the joints, etc. on a regular basis? For a better idea of how long a table can be expected to last, look at the warranty. Many of the high-quality brands offer a lifetime warranty on the frames themselves. So, your frame should last your whole working life, if you choose a good quality one. The foam pad is another story altogether. Most companies offer a warranty on these for around three years or so. How long yours lasts depends on how careful you are when cleaning, how often you use the bed, how well you adhere to the maximum weight guidelines, etc. The more specialized the bed is, like having a hydraulic lifting system, for example, the higher the potential that something can and will go wrong. 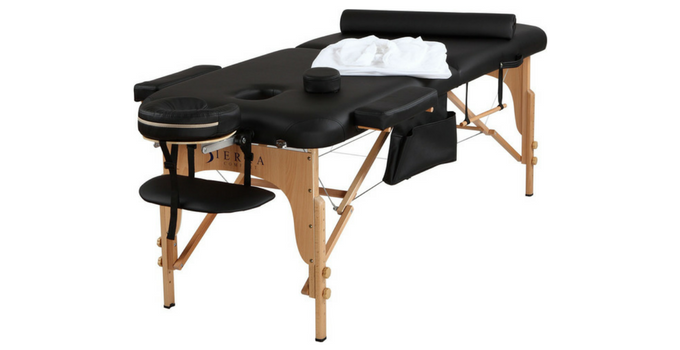 There have been a lot of changes made to your standard massage table over the years. You can have tables that warm automatically, tables that lift at the click of a button and any other range of features. Before you get blown away by these, you need to think about what is most important. Is it necessary to get the heated bed if you live in a warm town? Get the best bed that you can afford on your budget. It does not have to have all the bells and whistles, but it must be built sturdily and should last a long time. Choose something that will allow your clients to lie down comfortably and padding that is of high quality. Get padding that can be easily wiped clean again. If you plan to take your show on the road, choose a massage bed that you can carry and that will fit through most doors. Things like the color, whether it is made out of Maple or Beech, and if it has a shelf underneath are not what you should be making your final decision. Earthlite is one of the leading manufacturers of tables and accessories (sheets bolsters, arm shelfs, premium flannel sheets etc...). They believe in providing the best possible equipment, using cutting-edge design, in an environmentally safe manner. The company focuses on providing clients the best possible experience at an affordable rate. Do to the goal of being more environmentally-friendly; the company will not use hardwood from the rainforest. The lacquer they use is water, not solvent based and the foam they use is environmentally friendly as well. The vinyl covering the foam is sourced as responsibly as possible. The company also makes a point of being as zero-waste as possible. With that in mind, they use every possible bit of wood, etc. that comes into the factory. They also have an on-site recycling program. The company offers a lifetime warranty for many of the hardwood products it produces. You are also entitled to a full refund if you return the item in 30 days. 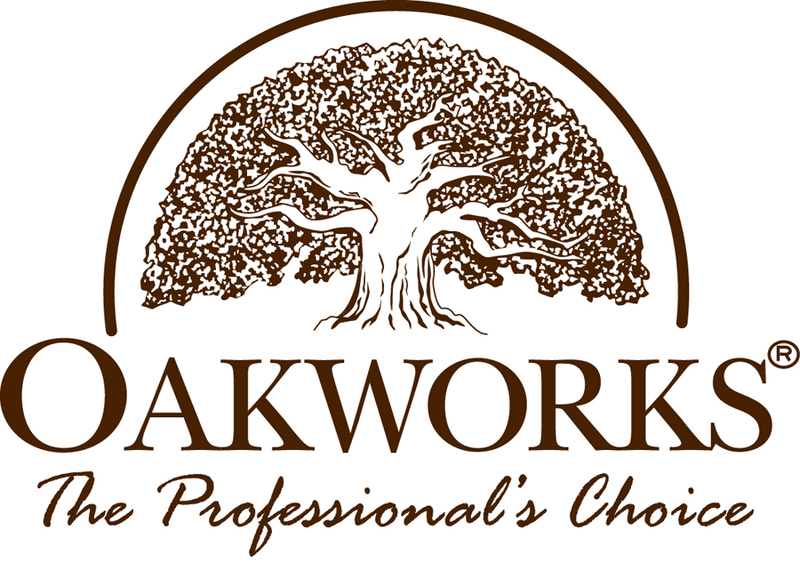 Oakworks have been manufacturing top quality massage tables and chairs since 1978. They have established a name as leaders in their field and a reputation for service excellence. Each of their products is made to order and so you can, if you want, ask for a customized design. It will cost a bit more, but you know you will get what you are looking for. They build their products with an emphasis on creating an ergonomically sound design and top-quality workmanship. Ccompany has become a household name in the United States and even globally. They offer no-nonsense equipment at an affordable rate. Choose from tables, beds, massage chairs, and almost any accessory that would fit with these. The company was started in 1976 and has been providing Americans with top-quality, well-designed massage equipment ever since then. This company founded because the owners found that there was a real lack of equipment and useful personal care accessories for those practicing as masseuses. The company focuses on creating equipment that is neither heavy on your wallet, nor on your back. They apply the latest research to ensure that the products they produce are world-class. They have one small goal – achieving perfection. For more than two decades Stronglite has been supporting those needing tables and massage chairs. They produce products that are beautiful but realize that functionality should always be the priority. They provide products that will look good and still work well over many years of usage. This company provides workable solutions for those that need to use massage in their day-to-day practices. Ironman knows that you want to have products that are rugged and that will not break quickly, and that is what they aim to provide. They also know that not everyone can pay a fortune for highest quality equipment and so try to keep their prices as affordable as possible. 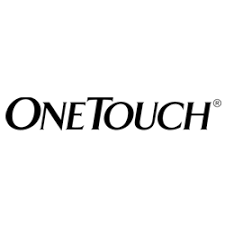 Onetouch is a relative newcomer to the scene but has already been distinguishing themselves by providing products that are innovative and that have useful features. Jade in this bed helps boost the immune system, detoxify the body, improving the lungs, heart, and thymus. Hot jade stones have been proven for pain relief in the back, deep muscle tissue pain, sciatica, arthritis pain and hypertension. There are a few different materials that the massage beds might be made out of. In this section, we will break down the three most common ones. When it comes to longevity, the aluminum table is not always your best bet. If you do choose it, make sure that it has been adequately coated so that it will not rust at a later date. The advantage of aluminum is that it is one of the lightest materials (lightweight and portable) to make a bed out of. Consider this kind of option if you will be offering clients an in-home service. Wood looks good – it can help to keep the room looking warm and inviting instead of cold and clinical. Hardwood will last for many years, without the concern that it could rust. The problem with wood, though, is that it can be heavy and unwieldy. Choose this option if you are going to work out of an office on a day to day basis. Making a bed entirely out of steel would be impractical. Not only would it be costly, but the resultant product would also end up being quite heavy. Where steel has aluminum and wood beat is in durability. It will outlast both comfortably. What most manufacturers do nowadays is to use a combination of steel and wood, or steel and aluminum. This help to strike a balance between longevity and final cost. What is clear is that massage tables come in various shapes and forms. We have gone through all the aspects that you need to consider when looking for the right one for you. We have even given you our top three choices for beds both in the stationary category and in the mobile class. All you need to do now is to choose the right one for you and get ready to start impressing your clients with the perfect bed.